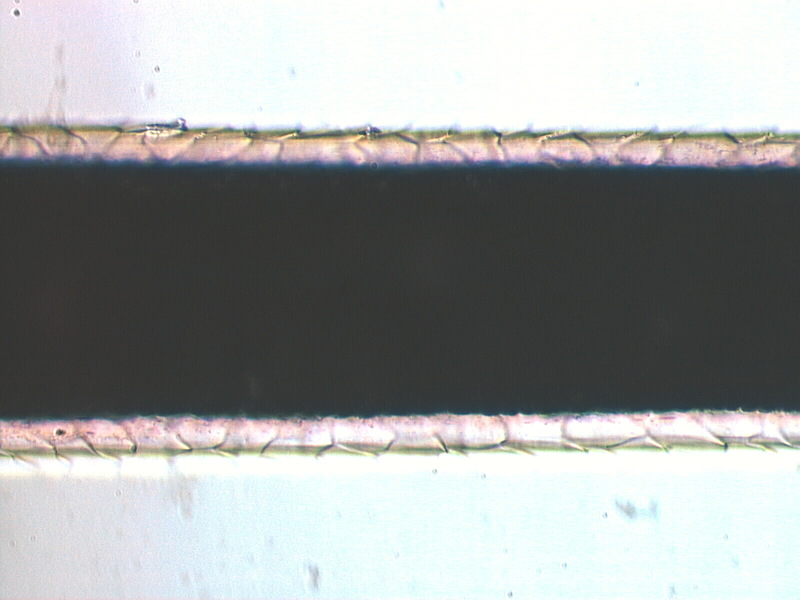 This is a view of the mid-section of a siamese cat hair. The black center is the medulla, which is quite wide at mid-shaft. The medulla appears dark here because light scatter prevents light from transmitting. The cuticle or scale pattern is clearly seen here. This part of the cortex is relatively free of pigment granuals in the Siamese cat though a few can be seen close to the medulla.